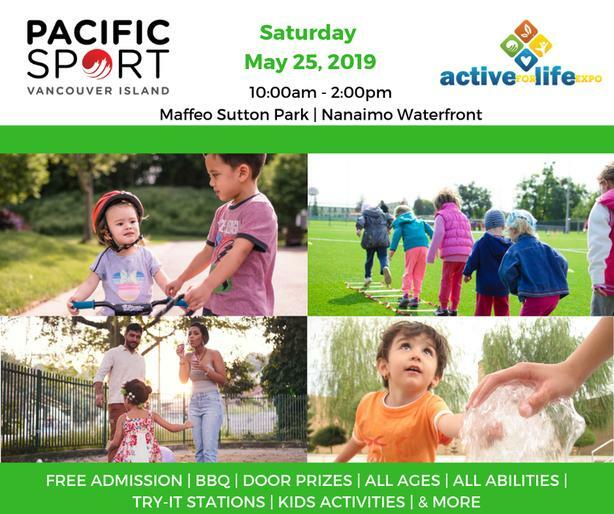 PacificSport Vancouver Island's 4th annual Active for Life Expo will be held on Saturday May 25, 2019 from 10 AM to 2 PM at Maffeo Sutton Park. Come down to the beautiful Nanaimo waterfront to meet some amazing local sport, health, and recreation groups and try out a multitude of different activities. People of all ages and abilities are welcome to take part in this FREE event, and connect with their community partners for their support over the last three years - we are excited to see the event continue to grow! Join us to have some fun, make some friends, try next activities, and gain awareness on how people can engage in a healthy, active lifestyle!